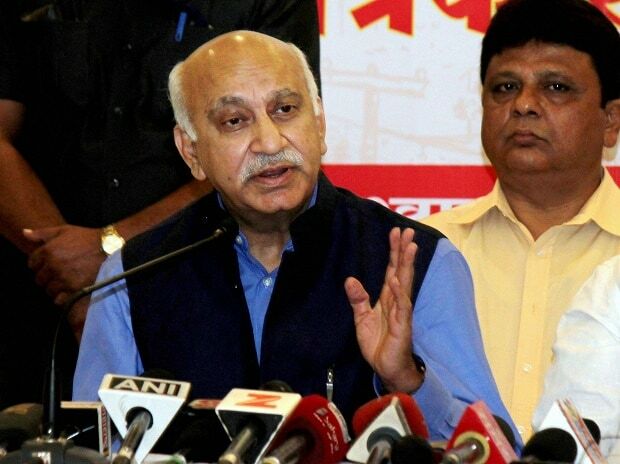 A Delhi court on Tuesday summoned scribe Priya Ramani as an accused in a defamation case filed by former Union minister M J Akbar after she levelled allegations of sexual misconduct against him in the #MeToo campaign. The court directed Ramani to appear before it on February 25 after noting that the allegations made against Akbar were "prima facie defamatory" and he had denied all the accusations as "false and imaginary". "The allegations of the respondent are prima facie defamatory and refers to complainant M J Akbar, therefore, he is an aggrieved person...to file this complaint. He has denied the allegations made against him by the respondent as false and imaginary," said Additional Chief Metropolitan Magistrate Samar Vishal. "These defamatory statements have been published, widely read and particularly by the witnesses examined who deposed that the reputation of the complainant was lowered in their estimation," he said in a 23-page order. The court said that "at this stage, the court only has the version of the complainant, who has on oath deposed in court that all the allegations made are false and further brought witnesses to vouch for his impeccable and unblemished reputation". Immediately after the order was passed, Ramani wrote on the micro-blogging website, Twitter, "Time to tell our side of the story." Ramani accused Akbar of sexual misconduct around 20 years ago when he was a journalist. He has denied the accusations. The witnesses brought by Akbar also proved that the reputation of the complainant was lowered in their estimation, the court said. The three witnesses -- Tapan Chaki, Manjar Ali and Rachna Grover -- who were associated with Akbar earlier deposed before the court, saying they were extremely "distressed and dismayed" as grave damage has been caused to his reputation due to the allegations. The court had also recorded the statements of Akbar and Joyeeta Basu, the editor of Sunday Guardian, in the matter. It noted that the enquiry was duly conducted by examining Akbar and the witnesses appearing for him to arrive at the conclusion to summon the accused. "All that is necessary to take a prima facie view that the offence of defamation has been committed against the complainant by the respondent Priya Ramani exists on record and, therefore, there are sufficient grounds to proceed against her. "Accordingly Priya Ramani is summoned for the commission of an offence of defamation under section 500 of the Indian Penal Code, returnable on February 25, 2019," the court said. Senior advocate Geeta Luthra and advocate Sandeep Kapoor, both appearing for Akbar, had told the court that the allegations made in the article in Vogue and the subsequent tweets were defamatory on the face of it as the complainant had deposed that the allegations were false and imaginary. The council had submitted that the subsequent publications based on the respondent's allegations further aggravated defamation. Akbar, who resigned as Union minister on October 17, last year had filed a private criminal defamation complaint against Ramani after his name cropped up on social media when he was in Nigeria. Akbar had told the court in his statement that an "immediate damage" has been caused to him due to the scurrilous, concocted and false allegations of sexual misconduct.